It is October and time to make Pinot Noir in The Valley. Which “Valley”, you might ask? We are talking about the “one and only” San Fernando Valley, of course. 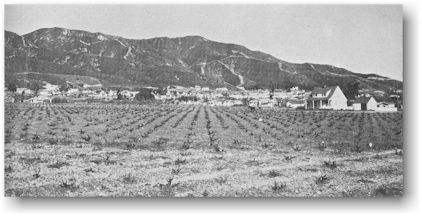 With so many “Valleys” in California laying claim to the best winemaking, we tend to forget that Burbank was the hub of an active winemaking scene prior to Prohibition, in the 1930’s. Since the early 1970’s, some hardy pioneers have again been making wine in “The Valley”. Tom Shudic, proprietor and winemaker at Chateau Burbank has turned out some memorable reds and whites, including the still available 2003 Santa Barbara County Chardonnay. More recently, Tom has donated his time and expertise to a new Valley winemaker, Ralph Demartinis, proprietor and master bread maker at Wheatland Baking, Inc. in Sun Valley. Next time you pick up a loaf of sourdough bread at Trader Joe's in the LA area, think of Ralph and his family recipe. Wheatland Baking supplies much of the fresh bread to Trader Joe's Markets and to other local markets, restaurants and airports. Now, let us get back to our winemaking story. 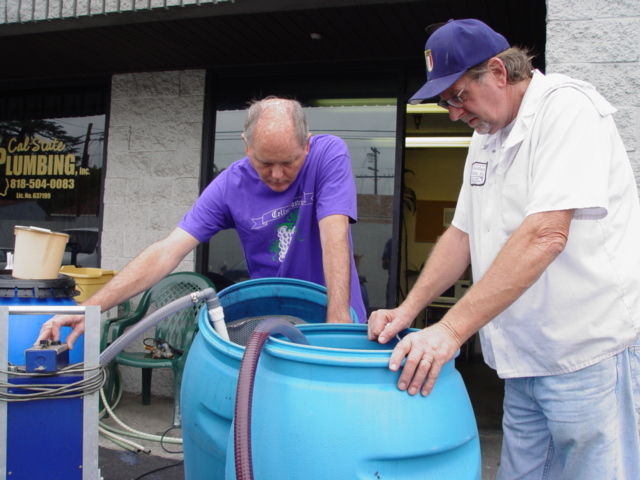 With help from Tom, Ralph procured half a ton of hand-selected Santa Barbara County Pinot Noir grapes. 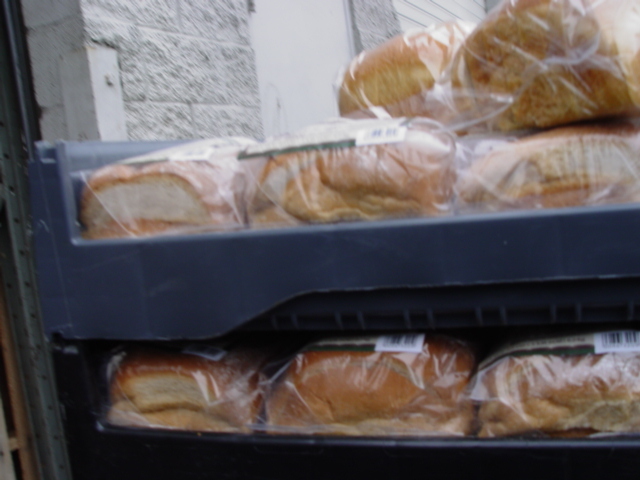 Crushed near the field, they transported the resulting juice and skins to Wheatland Baking, under temperature-controlled conditions. On Saturday, October 13, when fermentation was complete, we joined Tom and Ralph at the bakery, to sample fresh sourdough bread and selected wines from Ralph’s personal collection. As the day went on, Tom and Ralph transferred the unfinished wine from the blue plastic fermentation barrels to French Oak cooperage. As the free run of new wine ended, it was time to press the remaining wine, gently separating the precious liquid from the grape-solids. When doing this task, it is best to wear wine colored shirts, since it can be a messy affair. By day’s end, the new wine was safely indoors, resting and aging in the oak, prior to bottling, perhaps late next year. We promise to follow this story and keep you apprised of progress on the 2007 Wheatland Santa Barbara Pinot Noir. Author's Note: On December 4, 2010, Ralph Peter Demartinis, husband, father, friend, baker and winemaker died. Read his obituary HERE.